I've dabbled in hosting results before, but it became a big mess very quickly, so I set it aside. I'd still like to incorporate a regional athlete ranking system someday, akin to that on crossresults.com, but that won't happen until there's a little more user interaction. Results are important, however, so I'd love to at least link to them on the site. There being a lot of races, this becomes difficult unless you (the race director!) send them in. Skinnyski has a great writeup on results and Google Docs/Drive and how to get things in the right format. Ship your results to me in any format (even including snapshots of the results sheets) and I'll get them up under the right event. Attention climbing gym managers! Let's collaborate and schedule next year. I'd like to see two regional series, one each in the spring and the fall. This doesn't have to be formal, but the fewer date conflicts there are, the more climbing everyone gets to do. This plan is focused on the North Dakota-South Dakota-Minnesota-Manitoba region, but obviously if there are competitions that are outside the edges of this region that will pull climbers away, we need to take that into account as well. 1. Look over this list. If you see a comp I missed, mention it in the comments (and provide a link if you know it). 2. Grab a weekend in the comments. Make sure to include your email address so we can all contact each other. 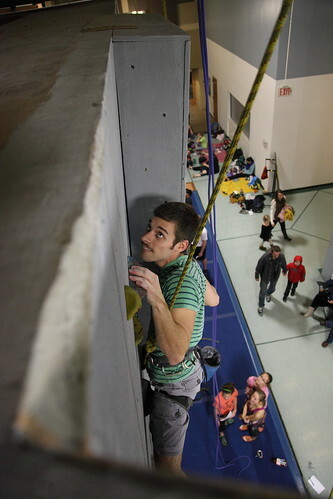 If there is another kind of event near you that might draw away your climbers, keep that in mind. 3. Comment about what you think will work and won't. 3. Send other managers to this page to do the same thing. Obviously, none of this is binding, but again it seems silly to have comps within weekend travel distance that fall on the same day. I'm posting this to get the momentum going before next year rolls around, but if someone wants to jump in and be "in charge," feel free. I'll keep this page updated as I find out more, or you can check the official list of future comps here at NPA.